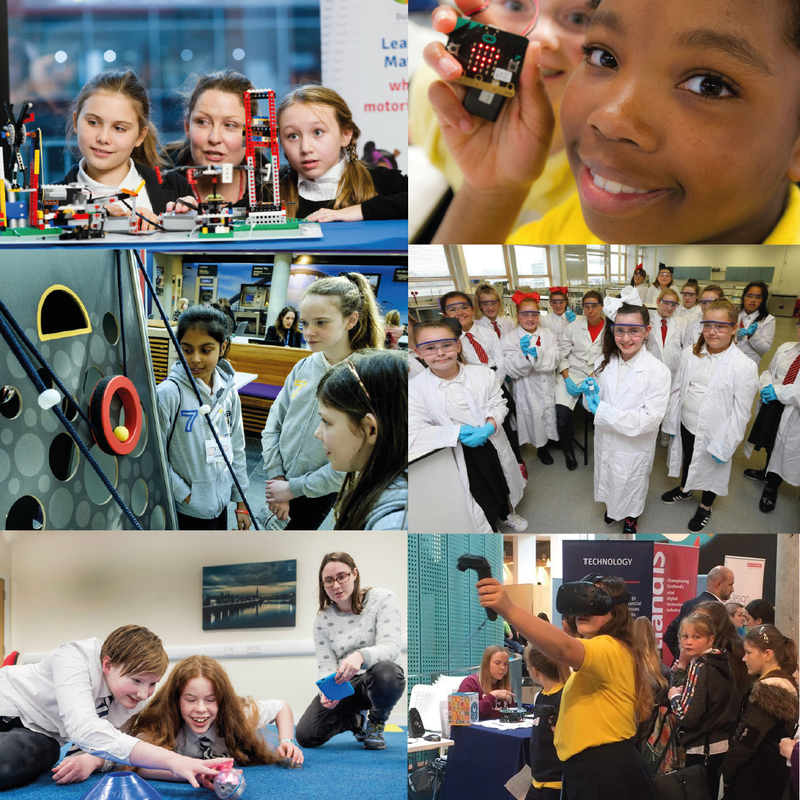 A SmartSTEMs Hub Event is where pupils aged 10-14 are hosted at a College or University for a STEM based day to expose them to as many role models and career opportunities as possible. The day features two passionate and inspiring speakers, several interactive workshops and an industry fayre at lunch time. Our Hub Events are designed to create and strengthen connections between industry and education, and ideally to give equal access to the ladder of opportunity for everyone. 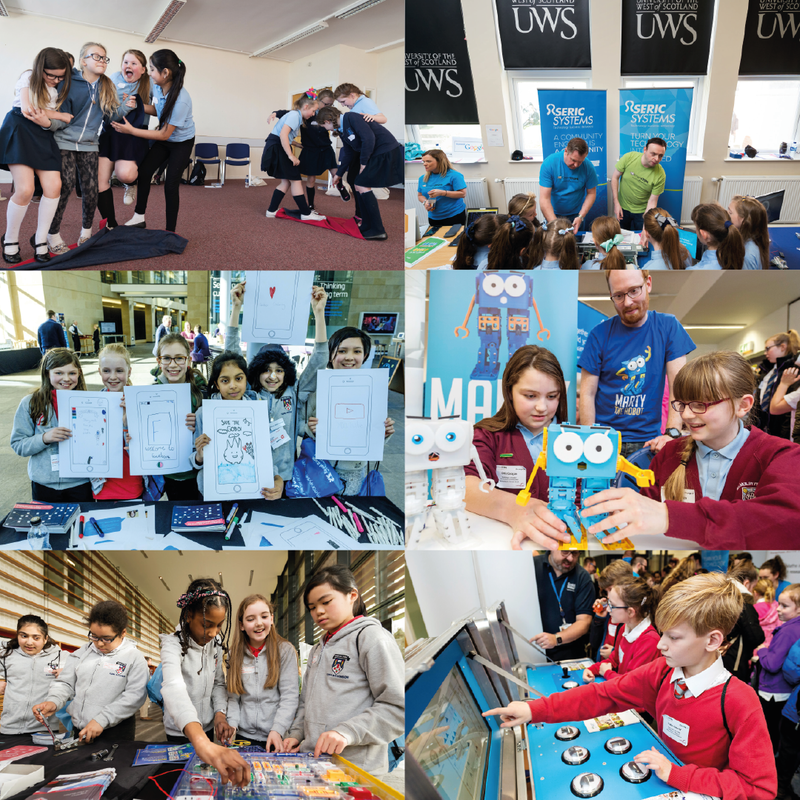 The workshops are a time for pupils to get some exciting, hands on and interactive introductions into the endless STEM career possibilities, as well providing their teachers with stimulating new ideas on how to tackle the syllabus and facilitating many new connections to subject matter experts. The university or college hosting has the chance to showcase their campus and work by having their students and staff run some of the workshops along-side industry members. For industry it is fantastic as they get the chance to inspire and engage with their future talent pipeline, giving them a tangible way to redress the gender and skills gap within STEM subjects. Our Industry fayre format at lunchtime, gives everyone a chance to make new connections. Industry have the chance to engage with their peers as well as engaging with pupils and students who will soon be looking to fill a career space. Teachers and staff of the university and college also are exposed to the possibility of developing new and useful relationships with one another. Allowing them to work together more efficiently towards scaling and sustaining the teaching and knowledge of STEM education. SmartSTEMs convene with industry and teachers from schools at our events to learn in detail about the support teachers need and then connect them with the appropriate parties with the aim of bridging their skill and resource gaps. The Hub Events are given greater impact and sustainability through our outreach. However, we also endeavour to provide support to anyone who simply gets in touch with us and is working toward similar goals. This ranges from working at an Industry HQ to bring schools in and extend their outreach and talent pool, to taking an industry member and a student to a primary or secondary school to provide a workshop, or to support teacher’s with applying STEM subjects or indeed, connecting individuals who want to work with certain organisations.